The "Travelers Among Mountains and Streams" contains many impressive details, including the multi-layered mountains and the raindrop texture strokes, which depict the pattern of nature in reality. The foreground of the painting contains two travelers and four deers walking through the valley. 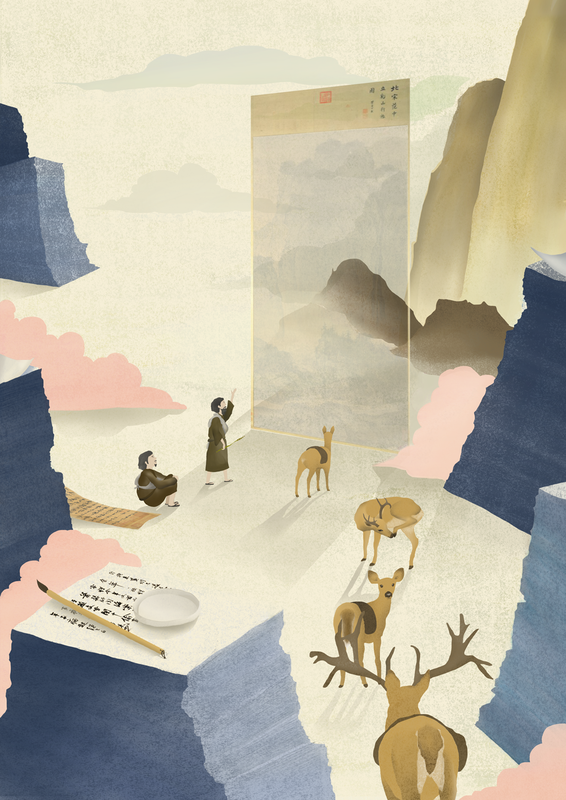 This illustration combines two works of Chinese Art, the "Travelers Among the Mountains and Streams" and "The Cold Food Observance", and creates the idea of time travel among the landscape paintings at the National Palace Museum.